"Get a fresh new start on your health!" 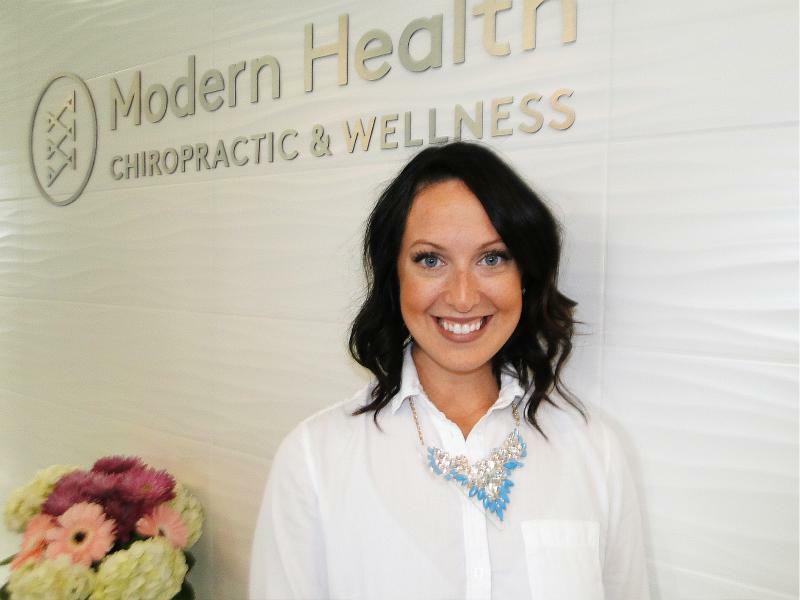 Located downtown, Modern Health Chiropractic & Wellness is your family's one stop shop to help you achieve all of your wellness goals, naturally. At MHCW we offer a more holistic, lifestyle based, approach to your care. Utilizing many chiropractic techniques and our CLA neurological scan technology, we offer modern, individualized care for every patient. Back pain is a symptom rather than a condition but it is an issue that most Canadians will suffer with at some point in their lives. There are many possible causes for back pain and for this reason it is best to have thorough assessment with your chiropractor in order to arrive at the correct diagnosis. While one person’s back pain may be caused by poor posture, another person’s may be caused by a muscle spasm or a herniated disc. Back pain is a condition which chiropractors treat very frequently and effectively. The carpal tunnel is a path through the wrist which the median nerve and several tendons of the arm travel through on their way to the hand. Normally the bones and ligament which form the carpal tunnel allow enough space for these important structures to pass through without being compressed. With overuse of the wrists and fingers, especially with poor ergonomics, the pressure inside the carpal tunnel can increase and compress the median nerve. This compression can lead to pain, tingling and numbness in the hand and fingers. Healthy posture is an essential factor in maintaining a strong and stable spine. When posture and overall ergonomics are compromised, misalignment, muscle weakness and pain may develop. Chronically poor posture and ergonomics are a significant barrier to full recovery from injury and painful conditions in general. Conditions such as carpal tunnel syndrome, low back pain and neck pain are heavily influenced by a person’s posture. Your chiropractor will fully assess the impact of postural imbalances on your body and make the necessary changes for optimal recovery. While migraines and tension headaches have some similarities, they each have unique symptoms. A tension headache is usually experienced as a chronic, even daily, nagging headache, while a migraine typically lasts for a day or two and then is gone for weeks or months. Tension headaches are a lower intensity pain that may rarely go away. They become a part of the sufferer’s life and are often misdiagnosed. Migraine headaches are typically shorter bursts of intense pain which may be accompanied by nausea, vomiting and light sensitivity. Osteoarthritis (commonly called simply “arthritis”) is a degenerative condition of the joints which affects most Canadians as they age. Osteoarthritis is a process of wearing down of the cartilage of our joints which generally progresses with age and can become debilitating in some cases. People with past injuries and people carrying extra body weight are at an increased risk of developing osteoarthritis. The symptoms that people with osteoarthritis experience most are pain, stiffness, weakness, swelling and poor mobility of the affected joint. The sciatic nerve is the largest nerve of the body and runs from the hip down the thigh and leg, providing sensation and motor control to the thigh and lower leg. Sciatica is a common condition which is caused by pressure on the sciatic nerve. People with sciatica usually will experience pain in the buttock which extends down the back of the thigh and leg. The pain can vary in intensity, being a nuisance for some and being unbearable for others. While sciatica is a common problem which is often chronic, it tends to respond well to proper treatment and lifestyle modification. Whiplash is an injury to the neck which is most commonly caused by rapid and forceful jerking of the neck, much like the motion of a whip when it is snapped. Car accidents, falls and jarring sports injuries are common causes of whiplash. People with whiplash may experience neck stiffness, pain and a limited range of motion of the neck. Pain can also occur beyond the neck, with headaches being another common symptom of whiplash. Ergonomics is the science of fitting a job or task to the individual rather than expecting the individual to conform to whatever the task may demand. In an office setting this can be seen as adjusting the heights and angles of chairs, electronic devices and other reading and writing materials. Healthy ergonomics goes a long way to prevent work-related repetitive stress injuries and ideally would be applied to workplaces in every field to optimize injury prevention. Based on their assessment of your overall health, your chiropractor may determine that you could be helped by taking a specific nutritional supplement. This supplement may be a vitamin, mineral, medical food, herb or even a combination of these ingredients. Your chiropractor will want to know which medications you are taking in order to avoid any possible interactions.